In 2017, several states implemented laws that create new regulations about hiring and background screening. 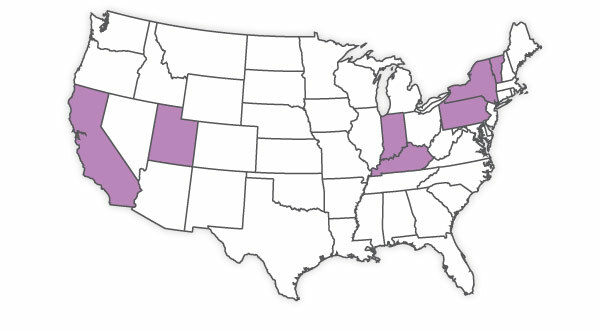 If you do business in these states, it is essential to comply. This Newsletter offers basic details about these laws, and we recommend clicking the Learn More buttons for additional information. Before denying employment based on the results of a background check, employers must send the applicant a pre-adverse letter. California law now stipulates these letters must include the reason (such as a violent criminal conviction) an adverse action is being considered. If an applicant feels an employer's policies could be less discriminatory, they may be able to initiate a lawsuit or have the DFEH investigate. They include: document all screening policies to show they are relevant and consistent with business needs; review convictions individually and avoid "blanket policies" that disqualify individuals with any criminal record; teach relevant personnel how to assess convictions. Los Angeles updated the Fair Chance Initiative for Hiring (Ordinance 184652) to include a Ban The Box Law. Employers are now prohibited from asking about criminal convictions on job applications. The criminal history does not bear a direct relationship to the facts underlying the civil action. The records were sealed or expunged. The conviction was reversed or vacated or the person was pardoned. Removal of "questions regarding convictions and criminal history" from executive branch and state-level job applications. Agencies to not ask applicants about their criminal histories prior to an interview unless the position requires them to do so. Specify chargeable violations under the Human Rights Law. Clarify the type of questions employers may not ask regarding an individual's criminal history. Explain how an employer must consider convictions based on job duties and the safety of the workplace, co-workers and public. Establish the circumstances under which an employer may revoke a conditional job offer. Employers may not consider arrests that did not result in a conviction; were annulled, expunged or pardoned; or do not relate to the applicant's suitability for Commonwealth employment. Employers should consider the "public interest of ensuring access to employment for former offenders." Public employers may not exclude applicants from initial interviews because of criminal convictions. They may consider criminal records when making final hiring decisions. Federal or state law disallows an employer from hiring an individual who was convicted of certain types of criminal offenses. Question(s) on the application are specifically about the type of criminal offenses that create disqualifications. Every employer must comply with relevant state laws that cover hiring and background screening. Backgrounds Online writes about these laws to keep you informed. Learn more about state laws from 2017. If you have questions or comments, please contact us for assistance.